No. 1000 Yan’an Middle Rd. A sanctioned project of the 17th China Shanghai International Arts Festival, ART021 has two years of experience behind it. Focusing on local resources while adopting a global perspective, ART021 strives for excellence, professionalism and a high level of quality. 2015 ART021 will once again focus on 21st-century contemporary art in its Main Galleries section, as well as present BEYOND Public Projects, the Collectors’ Invitational Exhibitions, the Museums & Non-profit Institutions Promotion, and a series of symposiums. This year’s multi-faceted 1+1 Projects section will showcase solo exhibitions by emerging artists, special exhibitions with one established artist presenting an emerging artist of his/her choice, and group shows with works selected according to themes by curators put forward by individual galleries. As ART021 grows and develops, it continues to add strong new members to its team. This year, Ms. Donna Chai was brought on board as Operation Director. In past years, Ms. Chai has been dedicated to international art fair organizing. In 2013 she co-founded Art in the City, acting as its Managing Director. Thomas Wuestenhagen, former gallery owner and former Head of Gallery Relations at Art Basel and Member of the Art Basel Management Board, also joined as Member of ART021 Executive Board and is in charge of international affairs. In addition to Ms. Chai and Mr. Wuestenhagen, the Executive Committee of 2015 ART021 is comprised of co-founders Ms. Kelly Ying and Mr. Bao Yifeng, and Art Director Ms. Zhou Ying. 2015 ART021 will be the third consecutive year this event has been held. Gallery surveys approve that ART021 has accurately positioned itself relative to the market, with its superior quality and international vision. Original projects including its special exhibitions for collectors and cultivation of young collectors have become widely recognized and have inspired other art fairs and organizations. The art fair has become one of the most acclaimed art events in Shanghai, receiving high praise from China Shanghai International Arts Festival, collectors, galleries, museums, media and the public, gaining a professional reputation as well as influencing the art world. Today, ART021 has become an important annual event in Shanghai and China’s contemporary art scene. For application documents, please visit www.art021.org or please contact: application [​at​] art021.org. 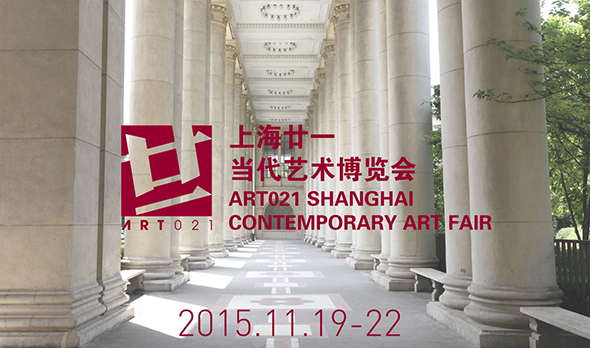 We look forward to seeing you this autumn at the Shanghai Exhibition Center for 2015 ART021.